Do you ever wonder if the time and effort you make to record your food, exercise and weight are worth it? Science says yes. So, if you are going to track, then what are some key factors to consider? A recent study published in the journal Obesity gives us some answers and adds to the accumulating evidence showing that self-monitoring plays a big role in successful weight management. In the healthcare world, many of us recognize that self-monitoring plays an important role in successful weight loss, weight maintenance and managing any health-related pursuit, such as managing diabetes or blood pressure. Self-regulation theory tells us that self-monitoring is central to the process of changing habits and includes focused attention to some aspect of our behavior. It makes sense, right? If you want to be successful with anything in life, it takes focus and organization. The good news is that electronic food, exercise and health trackers, like MyNetDiary, make it easier than ever to track in less time. When I worked in clinics and hospitals in the past, I would carry around paper copies of food and exercise diary sheets to give to my patients. For calorie tracking, a person would receive a calorie reference booklet and then look up items consumed in order to keep manual records. How far we have come! 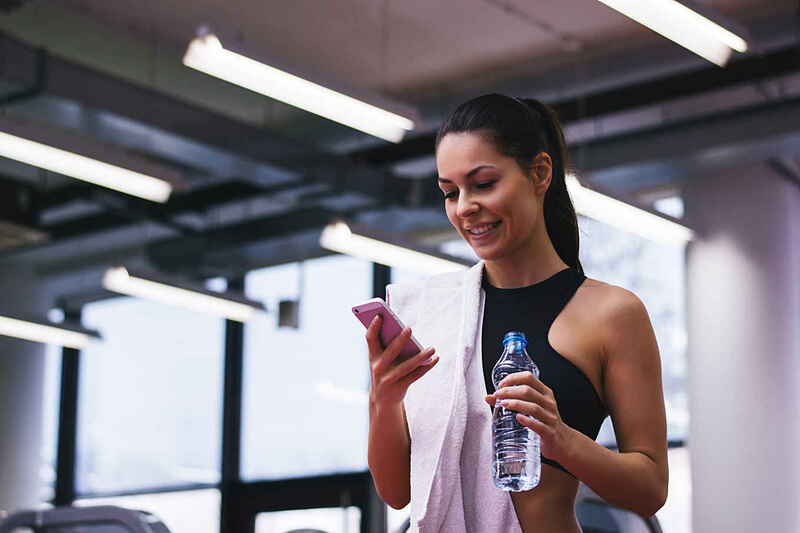 Electronic trackers make it so much easier to enter the data quickly with instant access to the nutrient content of foods as well as calories burned during exercise. I love it when researchers make the effort to scientifically prove something so that we are not just relying on someone's opinion to guide us with best practices. And this is exactly what Harvey and research group did when they studied 142 participants in a 24-week, online behavioral weight-control program. Study participants recorded exercise minutes, food intake and weight, and the researchers were able to monitor the number of computer tracking entries made per day. The results give us more evidence to show that tracking does work! The purpose of their study "was to quantify the time spent and the daily frequency of self-monitoring necessary for weight-loss success". "The frequency of self-monitoring is significantly related to weight loss, with the time needed to be successful diminishing during the intervention." Those who lost ≥10% of their baseline weight entered data approximately three times a day throughout the program. Those with successful weight loss recorded on significantly more days out of the month. In fact, more days in the month was significantly associated with better weight loss. For those who lost ≥10% of their weight, the daily time spent entering data on the computer averaged 23 minutes per day during month 1 and 16 minutes per day during month 6. The authors commented that newer trackers may take even less time than the web-based system used for their study. Participants who self-monitored both frequently and consistently maintained their weight changes more effectively compared to those who failed to monitor as often or as consistently. Frequency of recording was more important than the detail of recording. Consistent and frequent self-monitoring appears to facilitate weight maintenance. Individuals with most complete self-monitoring records lost significantly more weight than those who had less complete records. Weight loss was higher during weeks with higher self-monitoring completeness. Consistent self-monitoring of exercise achieved significantly greater weight loss. Greater weight loss was associated with an increased frequency of self-weighing at least weekly. The timing of self-monitoring in relation to when food was consumed was significantly related to weight loss. Keep on tracking! There is a lot of evidence to support that it works for changing behavior, including for weight loss and maintenance. Record data as close to eating and performing physical activity as possible and reasonable. Consistently use the tracker for greater success. If weight change is your goal, weigh yourself at least weekly. We are lucky that state of the art trackers, like MyNetDiary, make it easier than ever to make effective tracking happen!